The nation’s aviation safety watchdog said the new regulations being developed aimed to “minimise the regulatory burden on general aviation, keep compliance costs as low as possible and be based on the best practices of other leading aviation nations”. “CASA is currently working to develop a new set of maintenance regulations tailored specifically for general aviation (GA), that will be based on the example of best practices in other leading aviation nations,” CASA said on its website. The first step in the consultation process, CASA said, was to “invite the general aviation community to tell us about the challenges currently faced and highlight opportunities”. “We also want industry to consider the practices of four leading aviation nations and provide us with feedback that will be used to choose the best model on which to base our new maintenance regulations for general aviation,” CASA said. The new maintenance rules would cover all flying activity carried out by VH- registered aircraft other than charter and regular public transport (RPT) operations, CASA said. This included flying training, mustering, firefighting and emergency service operations, search and rescue, aerial surveying and photography, towing, and private flying. 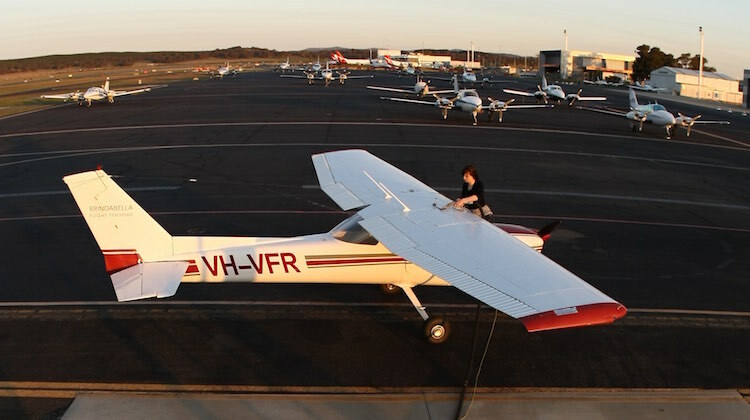 Australia’s general aviation sector recently called for changes to the current regulatory stance adopted by CASA. A recent summit in Wagga Wagga that involved more than 30 industry associations agreed to a communique that included a set of reforms aimed to tackle the administrative and financial burden of regulatory compliance that they said had led to the decline of their sector. The communique said current rules were “out of step with contemporary regulatory practice”. CASA said its Aviation Safety Advisory Panel (ASAP), that was established in 2017 and made up of industry representatives, had set out four key principles that would underpin the proposed changes. compliance with the standards set by the International Civil Aviation Organization (ICAO) for general aviation, namely Annex 6 Part II — International General Aviation — Aeroplanes and Annex 6 Part III, Section III — International General Aviation — Helicopters. CASA chief executive and director of aviation safety Shane Carmody said the regulator was not seeking to re-invent the wheel with the new general aviation maintenance regulations. “We know there are tried and tested sets of maintenance regulations used by other leading aviation nations and we want to base our new rules on these as far as is possible,” Carmody said in a statement on Friday. “These nations have a strong safety record underpinned by well-regarded safety regulation. Deputy Prime Minister and Minister for Infrastructure and Transport Michael McCormack said he looked forward to CASA and the aviation community working together to develop the new regulations. “CASA is committed to achieving the minimum regulatory compliance burden consistent with ensuring a level of safety appropriate for the general aviation sector,” McCormack said in the CASA statement. The deadline for submissions is August 28 2018. More details can be found on the CASA website. “CASA anticipates the ASAP will establish a technical working group to help review industry input to this consultation and work with CASA to select and develop the most appropriate international model on which to base our proposed new maintenance regulations for general aviation,” CASA said. When aeroplanes get old and come to the end of their economic life, they get sent to a “boneyard”. When aviation professionals suffer the same fate, they go work for CASA. If CASA wanted to do the right thing by the Australian aviation community, they should simply allow us to register our aircraft in New Zealand and operate in Australia…Lets stop flogging a dead horse….